Come see what The Purple Curtain reveals!! For decades Icey’s trademark sound of bass and beats has soundtracked dance floors worldwide. His indie label Zone Records is a top player in the worldwide Booty Bass / Breaks /EDM scene. RING IN THE NEW YEAR!!!!!! 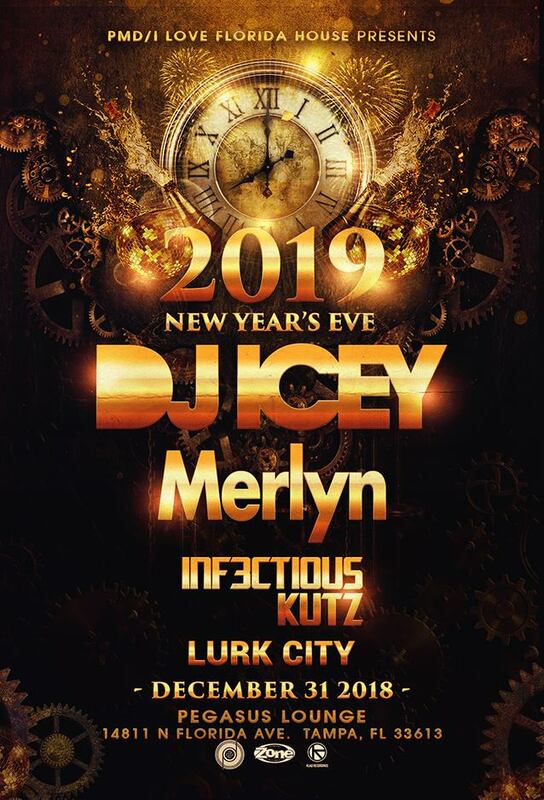 Icey’s passion for the music is undeniable and on display in his constant touring from major festivals to intimate club spaces, where his goal is to deliver a rump shaking good time to the people on the dance floor. One of America's premier Bass DJ's, Merlyn is known for destroying dance floors with his patented style of hard but smooth broken beats that incorporate everything from House inspired edits to Electro and Miami Bass. His hits, which include "Bring Your Love", "Taken", "Path to Redemption" "Incantations", "Solar Flares" "Dominate", and his most recent, "Slide”, “Bump”, and “Short Circuit” have made him not only a crowd favorite, but a favorite among his peers as well. His critically acclaimed mixed CDs "Spellbound" and "Nu Horizons Vol. 1" continue to be regarded as true classics in the broken beat genre. This DJ is not to be missed and must be heard to be understood.